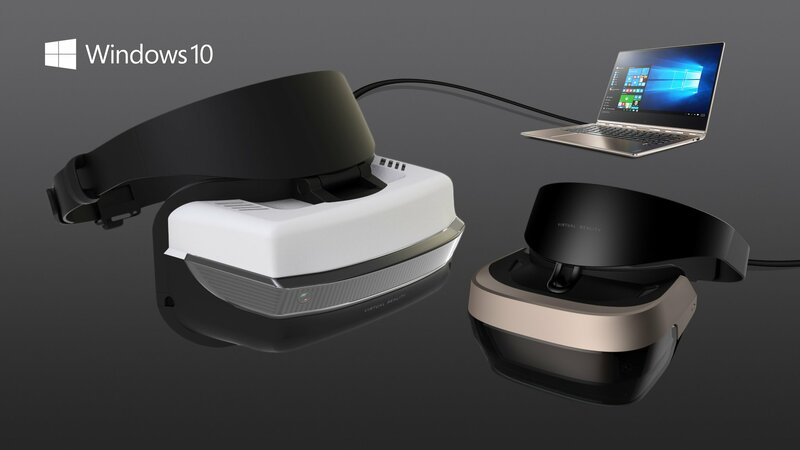 A lot more Windows 10-compatible VR headsets are on the way, including offerings from partners like Lenovo, Dell, HP and Asus. The new headsets will be priced as low as $299, and will including built-in space sensors so that you don’t need any additional hardware to achieve room-scale VR. On the gaming front, The Creator’s Update will include built-in game broadcasting courtesy of Microsoft’s newly-acquired game streaming company Beam. Beam’s streaming includes an interactive element for observers, letting them suggest what a player does next, or directing players to pay attention to the chat window, for instance. Gamers will also be able to make their own tournaments, which means you can create your own timed events or set up your own fantasy football-style leagues for whatever games you want. Finally, in the gaming category, games will support true Bitstream audio for Dolby Atmos encoding on Xbox One and compatible PCs, which is huge for gamers who want the best possible audio quality on their hardware. Microsoft VR headset will let you move? The ultimate promise of inside-out tracking is that you can pretty much create the Holodeck: as long as you have physical space to move, the headset will be able to tell where you’re going. But that requires hardware and software that can track location accurately over long distances. HoloLens lets people move around entire rooms, but the consequences for a hologram drifting a little (which, in my experience, does happen) are a lot less severe than having your entire world slip out of place. What kind of computer will Microsoft VR headset require? From what we’ve seen so far, the headset also isn’t self-contained like HoloLens; it’s wired to a Windows 10 computer of some sort. Myerson knocked the Rift and Vive for requiring expensive PCs, and a press image showed the headset alongside what looks like a Lenovo Yoga laptop, not a supercharged gaming machine. This would make it a more accessible device, although it could also mean its graphical capabilities are limited. On the flip side, it’s worth noting that HP and Dell are both working on powerful VR backpacks, through their respective Omen and Alienware gaming brands. Right now, they effectively only support the HTC Vive, but they’d also be a perfect fit for the headsets Microsoft is describing. There are no technical details yet available about the resolution or the field of view of the Microsoft Virtual Reality headsets. Microsoft just claims that they are better than today's $500+ options. Microsoft's Alex Kipman revealed some details in an interview with Polygon. The first generation of VR headsets will not support mixed-reality. The headset will have a high FOV and need to be connected to a PC via a cable. The inside-out tracking comes from the HoloLens development. We expect the Microsoft VR Headset to work with the Xbox One. This will give Xbox owners a VR headset for gaming. Microsoft has not mentioned the Xbox in the VR Headset presentation, but it makes a lot of sense. Microsoft will not want customers to buy two VR headset. The $299 Microsoft VR headset will work with Windows 10 PCs and the Xbox. It would be the big surprise if not.